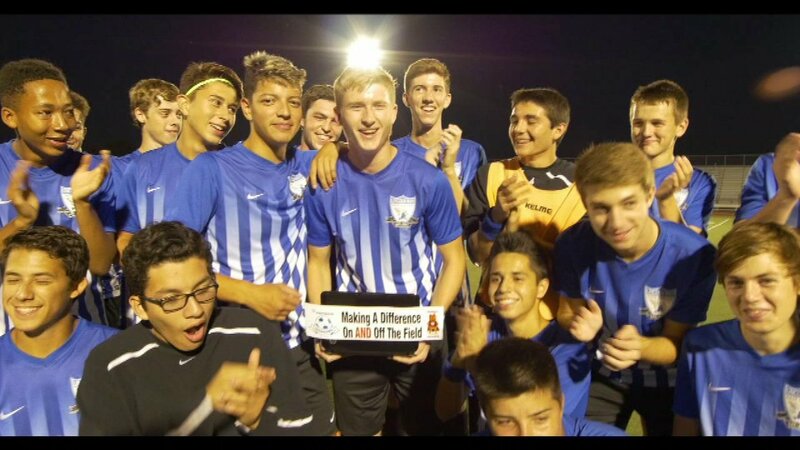 FRANKFORT, Ill. (WLS) -- A student at Lincoln-Way East High School in southwest suburban Frankfort got a big surprise when he showed up for soccer practice Wednesday. Liam Elsden, a senior, regularly takes part in community service events. "Liam is a role model for our students. He has a younger sister who is a special needs student and is regularly participating in events with the Lincoln-Way Special Recreation. He puts her first when it comes to supporting his sister's activities, ensuring she is happy all the time. He volunteers countless hours with special needs children," his coach said. His teammates, friends and family held a special presentation for him Wednesday. They gave him a laptop for his volunteerism. The surprise was part of the "Making A Difference On AND Off The Field" campaign.